Alcoholics are paid in beer to clean the streets in Amsterdam. They get five cans of beer, tobacco and 10 Euros ($11) a day for the work. A Pennsylvania man named Steven Petrosino holds the title of "World Beer Chugging Champion" after he downed one liter of beer in 1.3 seconds in 1977, List 25 reported. Brewmeister's “Snake Venom" is said to be the world’s strongest beer with 67.5 percent alcohol content. Eight people were killed after almost 400,000 gallons of beer rushed through the streets of London in 1814 after a vat at a brewery ruptured. A temple in Thailand, known as the Wat Pa Maha Chedi Kaew Temple, was built with a million bottles of beer, Fact Slides reported. A beer-drinking goat was elected as the mayor of Lajitas, Texas, in the 1980’s, Mental Floss reported. The longest hangover in the world lasted for four weeks after a man from Scotland consumed 60 pints of the beverage. Beer was used not only as a medicine but also as a mode of payment in ancient Egypt. The first aircraft hijacking in Norway was resolved after the hijacker gave up all his weapons in exchange for beer. 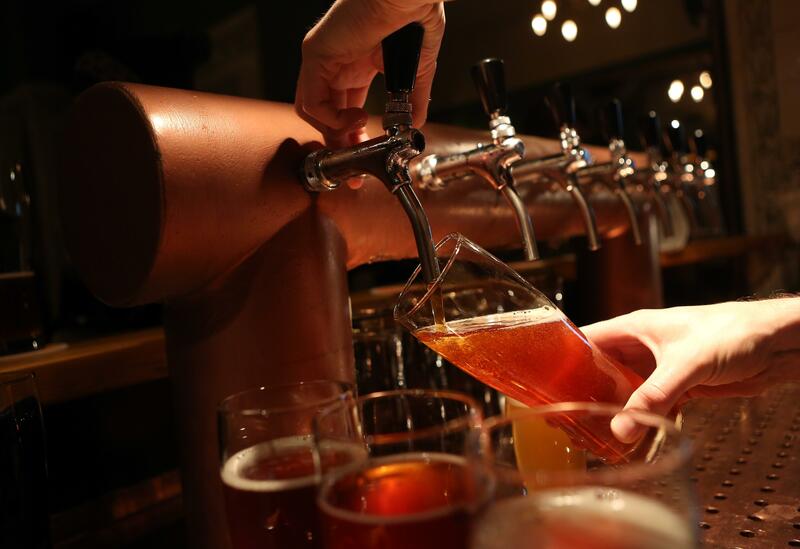 A section of the society in Norway baptized their children using beer in the 13th century. Belgian's "Vielle Bon Secours" is believed to be the world’s most expensive beer with one bottle costing around $1,000. Beer cans in Japan have Braille on them so that the blind don’t confuse the alcoholic beverage for soft drinks. The fear of empty beer glass is known as cenosillicaphobia. The largest beer festival in the world is held annually in Germany’s Munich, which is attended by almost six million people every year. Political parties have their own beer brands in Argentina.